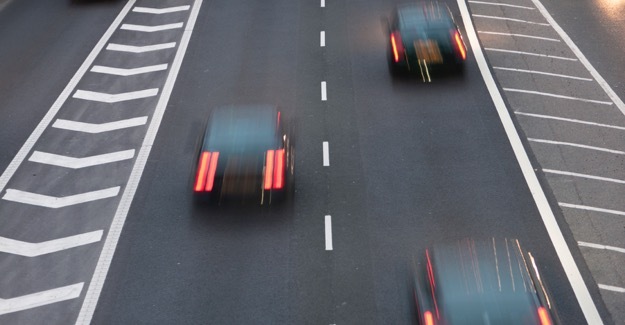 The RAC Foundation has reacted cautiously to the Goverment announcement that it is to consult on raising the speed limit on motorways from 70 to 80 miles per hour. The existing limit has been in place since 1965. “There are good reasons for making 80 the new 70, and good reasons not to. Drivers travelling that 10mph quicker might reach their destination sooner, but will use more fuel doing so and hence emit more CO2. There is also likely to be a slight increase in road casualties. And what about enforcement? If police follow existing guidelines, many people could do 90mph before action is taken. “Technological advances mean that cars are significantly safer then they were – contributing to a fall of more than 75% in the number of people killed on British roads since 1965. That is why the Government feels it is now time to look again at whether the speed limit set in 1965 is still appropriate. “Road safety is a top priority for the Government and action is being taken to tackle uninsured driving and help police enforce against drink and drug driving. However, the Government believes safety cannot be the only consideration when setting speed limits. Previous analysis shows that raising the motorway speed limit would generate significant economic benefits, worth hundreds of millions of pounds per year from savings of travel time. “Initial work by the Department suggests that setting the motorway speed limit at 80 mph is likely to represent the best balance of costs and benefits and it is similar to the motorway speed limit in other EU countries.